It has been said that ours is the information age. This can be interpreted to mean that our economy, as well as our society, is built around information. There is, undoubtedly, some truth to this notion. Computers and the Internet ruled the stock market for a period in the nineties, and the consumer market is certainly dominated by electronic products that deliver or receive information in one format or another. Computer science and information technology have become primary focal points in our higher education system, and they play a prominent role in many of the new career opportunities that are being developed today. The advent of the Internet and the spawning of all the chip-driven, electronic devices that have become part of our social fabric are reflected in the evolving curricula found in higher education. The traditional sciences – physics, chemistry, and the mathematics that accompanies them – are increasingly focused on biotech, nanotech and info tech. Schools of engineering are devoting resources to electrical engineering which, in turn, becomes computer science and the electronics that make our computer networks function. Technology is finding its place in our schools – as teaching devices in the lower grades, and as academic departments in higher education. Today, you can find college degrees in information technology and many spin-offs of that discipline. Networking, wireless technology, the Internet and all of its new developments and markets – all these things are part of the information technology orbit. Computer science, as an academic discipline, really includes the electronics involved on the cutting edge of new product development. This includes, not only consumer products but, the introduction of new concepts in medical and industrial fields. Universities and colleges are devoting resources to academics in these fields. For those of us who see a new area of career opportunity and wish to go in that direction, technology is often best pursued at online colleges. People who are working and want to obtain degrees or certifications that will provide job options in technology should explore the opportunities – and efficiency – of the online educational institutions. Schools, such as University of Phoenix Online, have an entire department devoted to technology. 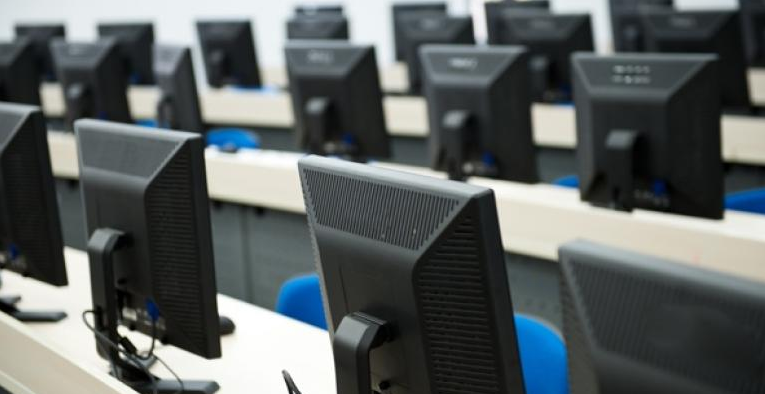 Working professionals, who want to apply their previously-accrued college credits to a degree in information technology, can find the following degree programs at University of Phoenix: Associate of Arts in Information Technology. Associate of Arts in Information Technology/Networking. BS in Business/Information Systems. BS in Business/e-Business. BS in Information Technology. BS in Information Technology/Information System Security. BS in Information Technology/Visual Communications. MBA/Technology Management. MIS – Master of Information Systems. Doctor of Management/Information Systems and Technology. Kaplan University can offer you 6 associate’s degrees and 6 bachelor’s degrees with specialization in different information technology areas. Among those are: AAS in Computer Information Systems. AASCIS/Java. AASCIS/Networking. AASCIS/Programming. AASCIS/Web Development. AASCIS/Wireless Networking. BS in Information Technology. BSIT/Database. BSIT/Multimedia and Animation. BSIT/Networking. BSIT/Programming. BSIT/Web Development. Kaplan’s associate’s programs can move you onto a new career path in less than 18 months! Colorado Technical University has an online program with four information technology degrees at the bachelor’s level, and two technology degrees at the master’s level: B.S. in Business Administration – Information Technology. B.S. in Information Technology – Software Systems Engineering. B.S. in Information Technology – Network Management. B.S. in Information Technology – Security. M.S. in Management – Information Systems Security. M.S. in Management – Information Technology Management. There are many areas of expertise within the field of technology that are in demand today. For further information, click on any above program of interest and fill out the information request form. The choice is yours: if you have the initiative, an online technology education is there with a career path on the other side.